Posted on March 25, 2017 Posted in Brazil	. This sweet treat is a Brazilian beauty. 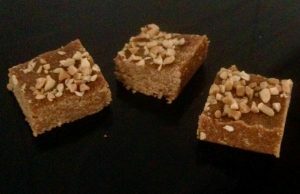 A traditional candy (thought in my opinion more a slice than candy), this treat is simple, quick and super tasty. Pacoca De Amendoim or ‘Pacoca’ is very common to serve during the Festa Junina, an annual Brazilian festival among many other occasions. With only 5 ingredients this ”candy” can we whipped up in 10 minutes with no need for any baking as the fridge will do the setting for you. 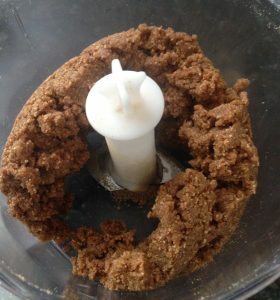 Caramelized peanut aroma in flavor this recipe is a must to make! 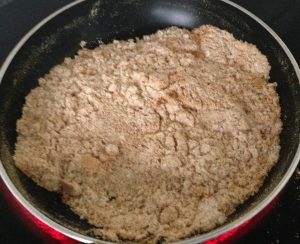 Place the flour into a saucepan and stir on a medium heat for 5 minutes, pour into a bowl (sounds wrong but makes a huge difference to flavor). 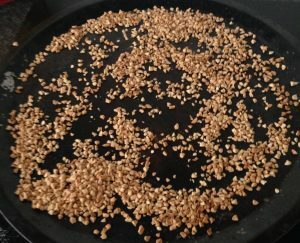 Place the peanuts in the oven under the grill until slightly golden. Pour the peanuts into the flour bowl and add the the salt and sugar, stir to combine. 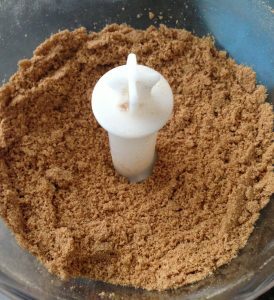 Place the peanut mix into a food processor and blitz until well combined. Add the condensed milk and blitz until the mix balls together. 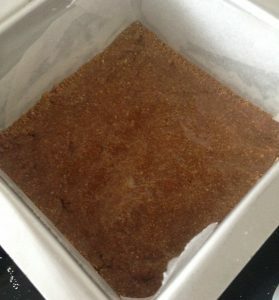 Press the mix into the tin until flat. 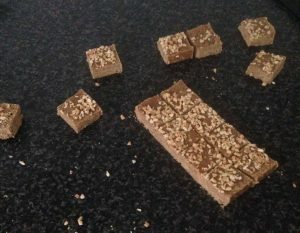 Remove from the tin and cut into squares, enjoy. Note: I have topped with additional chopped peanuts. Tags: brazil, coconut flour, Pacoca De Amendoim, peanuts	.